Nato defence ministers are reviewing progress in what’s known as the alliance’s “enhanced forward presence” – its deployment of troops eastwards to reassure worried allies, and deter any Russian move west. “Russia would like us to think that its current militarization and preparations for conflict are a response to Nato doing the same, but it’s simply not true.”That’s the view of Keir Giles, director of the Conflict Studies Research Centre, and probably Britain’s leading watcher of Russian military matters. “Russia’s enormously expensive reorganization and rearmament program,” he told me, “was already in full swing well before the crisis over Ukraine, while Nato nations were still winding down their militaries. Read more . . .
President Donald Trump has been given revised options on how to handle the growing threat of North Korea, at least one of which includes a military response in the event of a nuclear or ballistic strike against the U.S., two military experts told CNN. 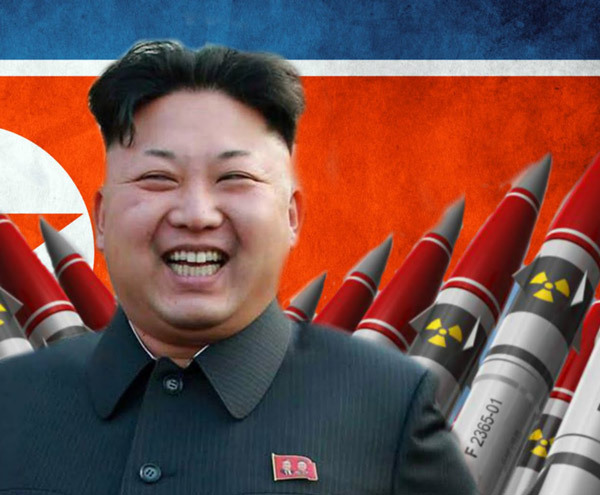 U.S. National Security Adviser HR McMaster confirmed that the U.S. military was ready and said the threat from North Korea was far more urgent than in the past. “What we have to do is prepare all options because the President has made clear to us that he will not accept a nuclear power in North Korea and a threat that can target the United States and target the American population,” McMaster said Wednesday, CNN reported. Read more . . . The Department of Veterans Affairs announced Thursday that it would begin offering emergency mental health services starting July 5 to veterans with other-than-honorable discharges – following through on a departmental change that VA Secretary David Shulkin promised in March. The change acknowledges the population of veterans has been denied needed care, but it doesn’t go far enough, according to a report released last week from Brown University and a statement from Vietnam Veterans of America, which has advocated for years on behalf of “bad paper” veterans. Read more . 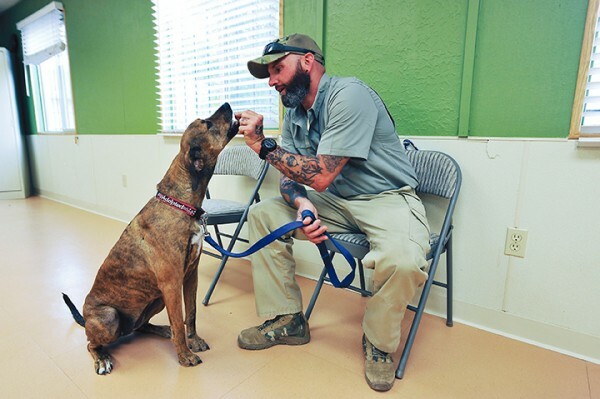 . .
“I would say there are a lot of heartwarming stories that service dogs help, but scientific basis for that claim is lacking,” said Michael Fallon, the VA’s chief veterinary medical officer. “The VA is based on evidence based medicine. We want people to use therapy that has proven value.” Yet the VA’s efforts to study the possible benefits of service animals have been plagued with problems. Congress mandated a study in 2010, but the VA suspended it just months after it began, when two of the dogs in the study bit the children of veterans. The study restarted in 2012 but was again stopped because of issues with the dog’s health and training. A new study is underway and the VA is now recruiting veterans to participate. But it isn’t expected to be finished before 2019. Read more . . . Objective Test to Diagnose PTSD? Australia’s Medibio, which is working on an objective test for the diagnosis of mental health disorders, reported promising results for a noninvasive diagnostic tool for post-traumatic stress disorder. PTSD affects 3.5% of the U.S. adult population, according to the National Institute of Mental Health. But this figure jumps dramatically in veterans, to anywhere between 11% and 30%, according to the Department of Veterans Affairs. PTSD diagnosis, like that of other mental health disorders, depends on patient-reported and physician-observed symptoms. In order to be diagnosed with PTSD, a patient must experience four different types of symptoms for at least one month. Medibio seeks to “revolutionize” the diagnosis and treatment of mental health with noninvasive, quick, and objective diagnostic tests for PTSD and other disorders. Read more . .